Darkstalkers Resurrection, also known as Vampire Resurrection in Japan, is a HD re-release compilation of Night Warriors: Darkstalkers' Revenge and Darkstalkers 3. Currently in development by Iron Galaxy Studios, it is to be released via the Playstation Network and Xbox Arcade. 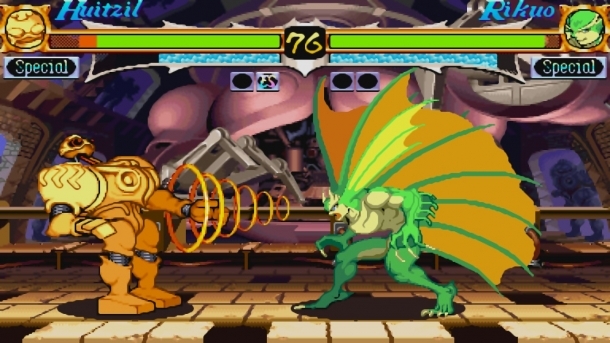 The Darkstalkers series showcases traditional arcade fighting gameplay, and Darkstalkers Resurrection will continue in this vein, but with enhancements that follow Iron Galaxy Studios' previous Capcom arcade re-releases Street Fighter III: 3rd Strike Online Edition and Marvel vs. Capcom Origins. This HD re-release not only features new game modes and online capabilities, but also has the standard HD enhancements. The following pages detail the achievements/trophies for Darkstalkers: Resurrection, listed according to platform.